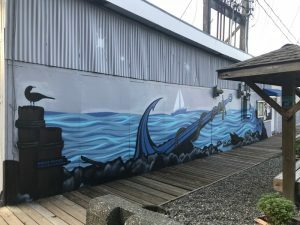 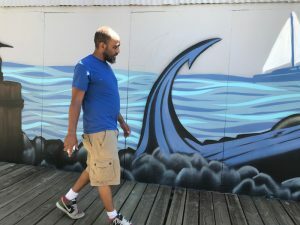 of Candyteeth Creative painted this wonderful seashore scene mural on the Tyee Marina main building in July 2018. 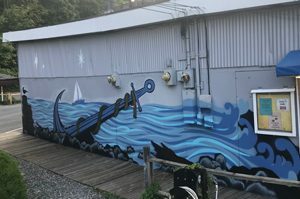 Bringing his artistic style and creative imagination, Jeremy painted this new mural depicting colors of the sea and capturing the movements of the Puget Sound waters that all Northwest boaters know and love! As a master mural painter, sculptor, stop-action animator, Jeremy Gregory has done extensive work in the Puget Sound region and has become one of the area’s nationally recognized creative talents. 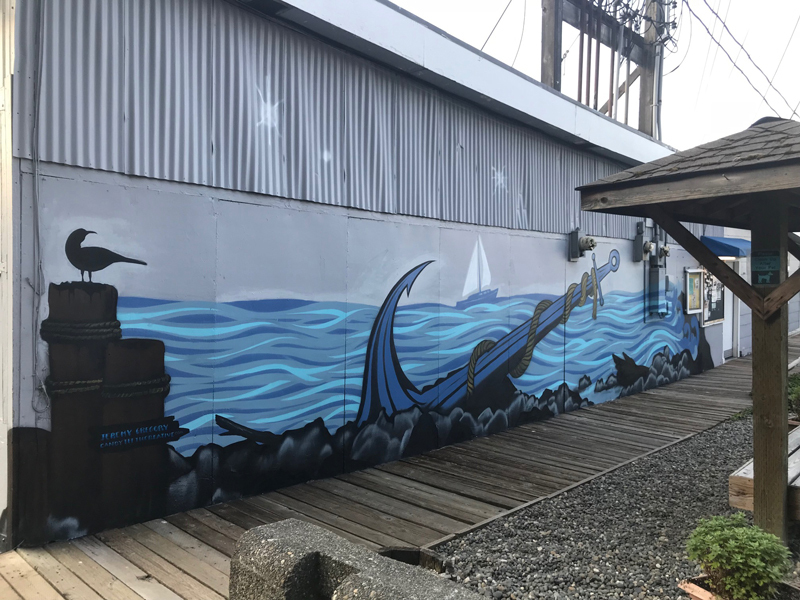 Tyee Marina is proud to have one of Jeremy Gregory’s “close to the heart” pieces at our facility, and look forward to seeing Jeremy back painting here again soon. 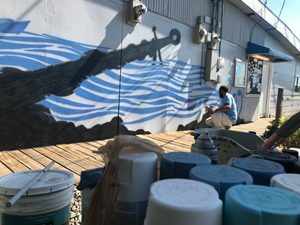 Everybody needs to come on down the marina to see this great mural in person. 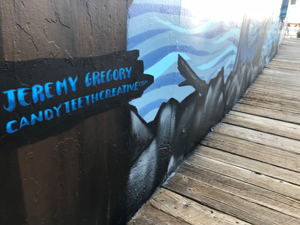 And please visit Jeremy’s website and support his studios at Candyteeth Creative! Thank you, Jeremy!